I first met Joe McCord over lunch. Some mutual acquaintances told me he was quite a character and had a varied background. Joe was a person who was affable and fun and love to tell stories. He had a long career of service in the military, the community, and for his family and friends. Later I worked with him while he was on the Governing Board of Directors for the Peoria Unified School District. We found we had a mutual interest in writing. Unfortunately, his writing group was too far away though he invited me numerous times. I did proof some his literary work, but I am not sure if he ever finished the book he was writing. It was based on a very interesting and mostly true story of a man in World War 2 Italy and his ups and downs and finding love. Joe loved most to talk about the children he would entertain for free on the Challenger Space Program. He loved to show them the Tesla coil and light bulbs coming on without wires and their hair raising up. He invited me to come see him do it several times, but I always figured I would do it later. Now I regret not having taken the time. We had our hip replacement surgeries near the same time, although his was from age and wear and tear while mine was from a drug reaction, it gave us more to chat about. Whether it be the school district, air quality, community work, children or friends, I never saw Joe get angry. You could always depend on him to give you a smile, a warm handshake or hug, and a great story. It makes you think about how life is short, and we are remembered very little no matter how much good we do. I have attached the story from the arizona.newszap.com below. It just doesn’t seem like enough is ever said about those good people we know that never dream of fame or fortune, but simply live to help others. Rest in peace Joe McCord. PEORIA, Ariz. — Peoria Unified School District Governing Board member Joe McCord died on New Year’s Day 2014. Mr. McCord left a legacy of community service behind him. He served as a PUSD Governing Board since 2009, and provided service on the Maricopa County Mining Committee and theVentana Lakes Board of Directors through the years. Some of these posts were served at the same time. “Mr. McCord was a tireless advocate for students and it will be difficult to replace the expertise he brought to the Peoria Unified Governing Board. 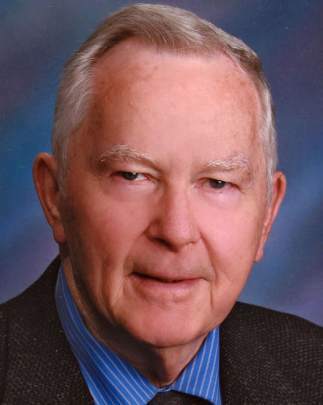 He will be deeply missed,” said Peoria Unified Governing Board President Hal Borhauer. Annually, Mr. McCord made it a point to visit each of PUSD’s 39 schools to get a hands-on look at how things were done in the classroom.